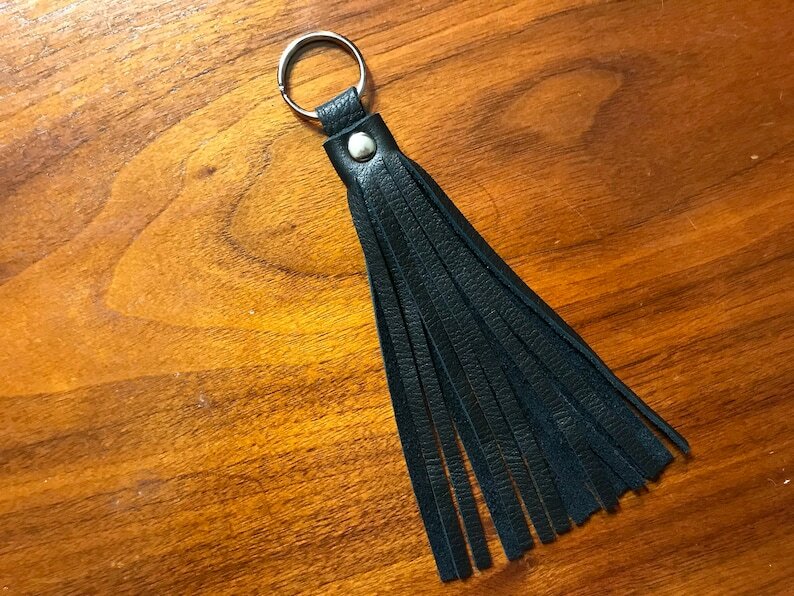 This quality cowhide leather was hand-fringed, then I added a silver tone split ring keyring and finished it with a matching rivet. The leather fringe is your choice of 4 1/2 or 6 inches long - total length is 5 1/2 or 7 inches with the keyring. Add some style to your existing keychain or just put your keys right on this one. Or attach it to whatever you can slip a keyring on.